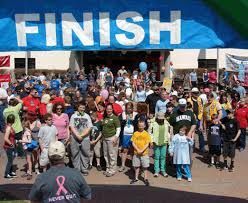 Founded in 1979, the Edward I. Moses Walk/Run for Life has been a leader in raising money for the local fight against cancer. Thanks to the sponsorship of local businesses we are able to reward participants with prizes, goodie bags and t-shirts while still keeping every dollar raised in St. Lawrence County. This event is the primary fundraiser for the St. Lawrence County Cancer Fund which provides funding for programs that work to educate the community and help with the prevention, early detection and diagnosis of cancer for local residents. To date, the E.I. Moses Walk/Run for Life has raised more than $1.5 MILLION, which has been distributed to local charities. St. Lawrence County Cancer Fund has partnered with Give Lively to securely process your online donation. This transaction will appear on your credit card statement as "St. Lawrence County Cancer Fund ". This transaction is subject to Give Lively's Terms and Privacy.